Please let us know if you have any special requests, such as roommate requests or medical issues. Student Blog Are you planning to or interested in writing a blog during your study program? - Try to keep the file sizes of your attachments reasonable (max. few megabytes per attachment) and send them in PDF format if possible. The color picture should preferably be in JPEG format. By submitting this application form you agree to the terms and conditions stated on AE's website and certify that the information you have provided on this form and thes upplied documentation is correct. Furthermore, you commit to paying a registration fee in the amount of 75 EUR (97 USD), for which the invoice will be sent to you with your initial acceptance letter. 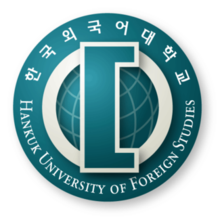 You also agree to follow the rules and regulations of Hankuk University of Foreign Studies and maintain high standards in all phases of university life.